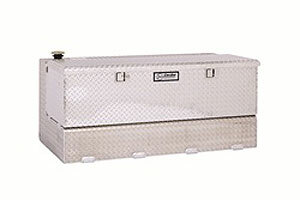 DeeZee Combo Transfer Tank is designed to provide convenience of a utility chest welded on to a liquid transfer tank. It is made from brite-tread aluminum construction which ensures extreme durability. This tank features black powder coat finish and is easy to install.